Statement necklace made of natural merino wool in yellow, blue and many other colors. 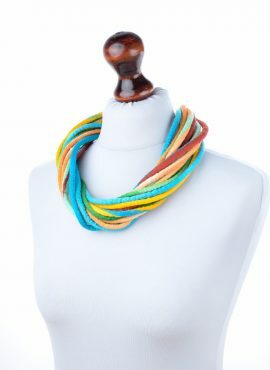 It is perfect for woman or teen who love natural materials. 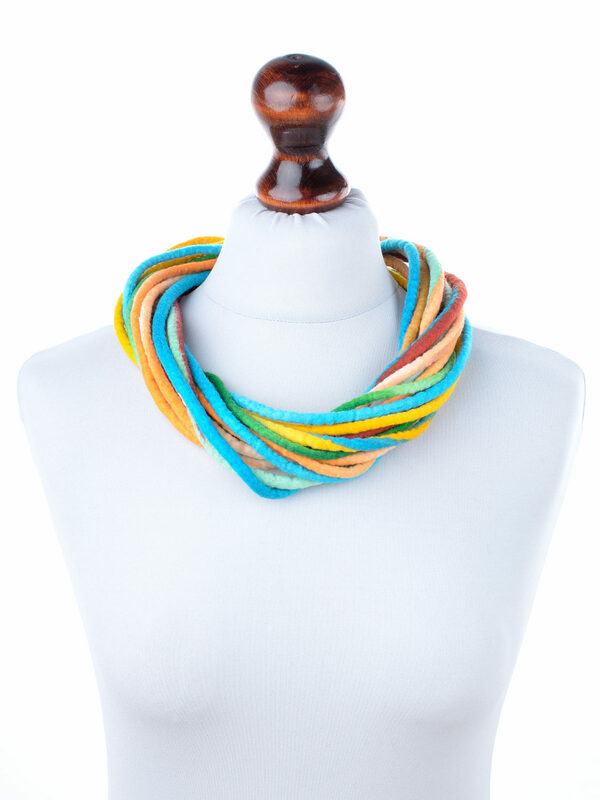 Statement necklace made of natural merino wool in yellow, blue, orange, ginger and green. 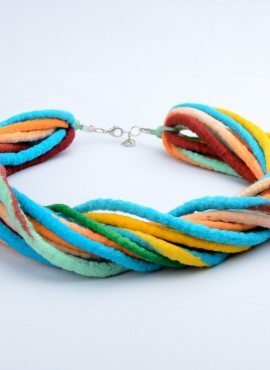 This felt rope necklace is made by hand in wet felting technique. 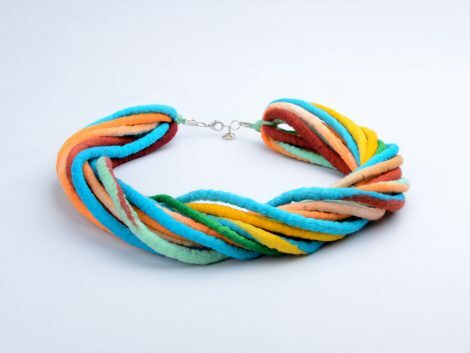 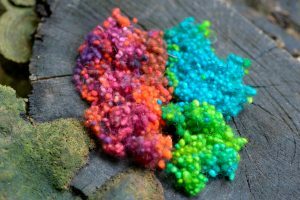 Its multicolor fibers make it really joyful and bright. It is perfect for woman or teen who love natural materials. 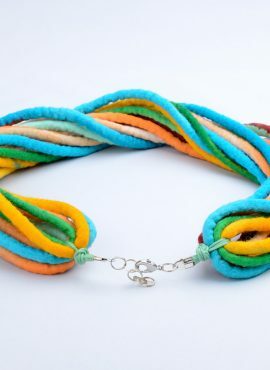 It is made of long looped dreadlock, which is folded, twisted and attached to a clasp in silver color and its spacer will let you adjust it to your needs. You can wear this statement necklace in the winter or in the cold spring – it looks massive but is very lightweight. 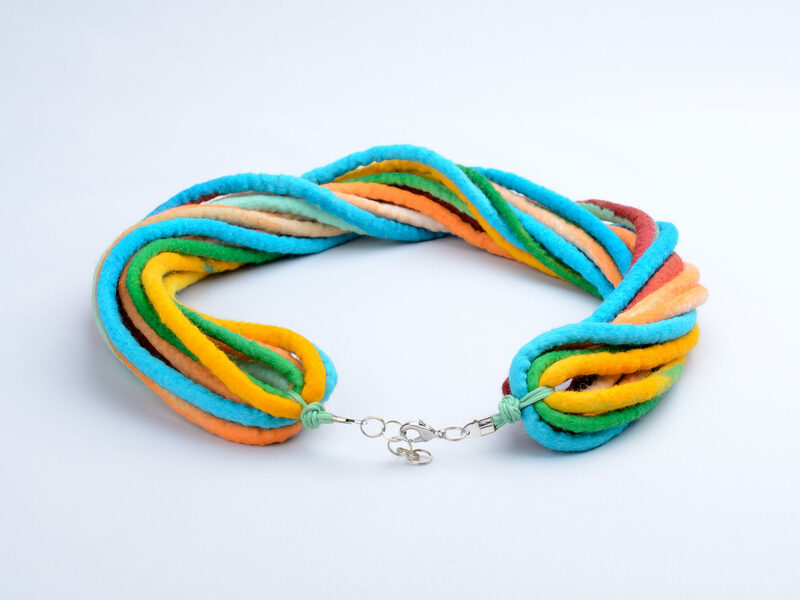 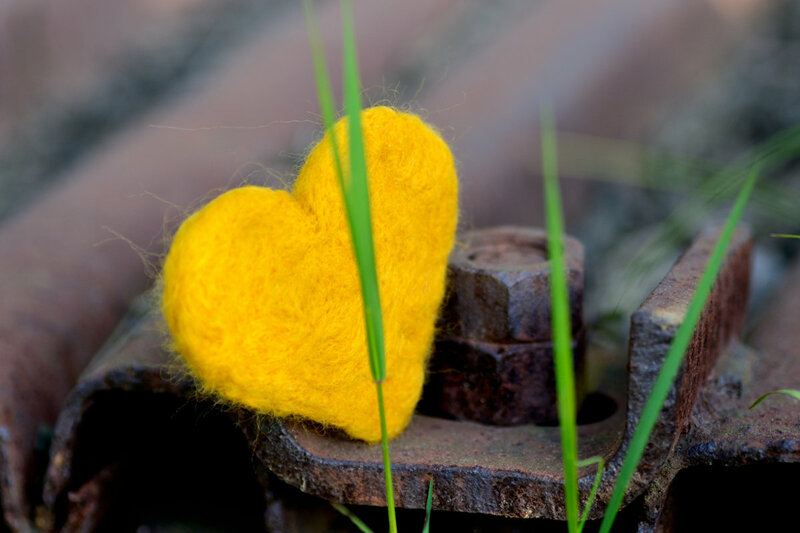 This piece of felted jewelry will warm your neck and make you stand out!